Inflammation of the heart muscle is a common, symptom-free condition that can occur in the context of any number of infections. However, it can also be the cause of sudden cardiac death, or a decrease in the heart’s pumping ability. A variety of viral or bacterial infections have the potential to also affect the heart. Those afflicted with this condition do not notice the cardiac involvement and the infection heals without complications. Therefore, there are only very imprecise estimates as to the frequency of myocarditis. Sudden cardiac death among young athletes is the type of dramatic event in which the public is confronted with this disease. Certain viruses, bacteria, fungi and other microorganisms may be the cause of myocarditis, also toxins, alcohol or drug use may trigger it as well. Recently, images of an Italian footballer who had died in a game of sudden cardiac death were seen in the media. We would like to take this opportunity to inform you about the disease myocarditis. What symptoms indicate a myocardial inflammation? Häufig geht der Myokarditis eine Entzündung der Atemwege oder ein schwerer grippaler Infekt voraus. Ist auch der Herzmuskel betroffen, klagen viele These symptoms can resemble those of a heart attack (chest pain, typical abnormal ECG and lab results). Often an echocardiographic exam reveals a partial or complete motion abnormality of the cardiac wall and a pericardial effusion. Results from a cardiac catheterization often do not give any clue as to a possible cause. In more severe cases, cardiac wall motion abnormalities of individual wall sections or a totally insufficient heart pumping performance can be documented. To confirm such a diagnosis, a cardiac MRI exam is used. In the early phases (of the disease), special sequences can show edema (fluid retention), regional (localized) changes in myocardial perfusion, or even the permeability of the tissue for MR contrast agents (LE: late - enhancement). Representation of edema in acute myocarditis (arrow indicators) in an MRI. A pericardial effusion, aka fluid around the heart (star). In addition to an ECG, lab results and cardiac ultrasound, it may become necessary to remove a portion of tissue from the heart muscle (a biopsy) in order to confirm the diagnosis, especially with chronic or more severe forms of the disease. If performed without first establishing the targeted area, this procedure often does not reach the diseased tissue. Therefore, the modern approach is first to do the preliminary diagnosis of inflammation using a cardiac MRI and then, guided by ultrasound, obtain the biopsy sample. The cardio MRI examination can also be used for follow-up examinations. The diagnosis is completed with a tissue examination (histology) using modern investigation techniques and immunological studies (antibody detection). Myocarditis is often preceded by a respiratory infection or a severe flu infection. If the heart muscle is also affected, many patients complain about fatigue, tiredness, accompanied by fever and shortness of breath. Arrhythmia, or an insufficient pumping of blood (diastolic/systolic rates), are symptoms that eventually lead the patient to a cardiologist. Often a myocarditis heals without any consequences and a specific treatment is then unnecessary. During the acute phase of the disease, strict bed convalescence is required. 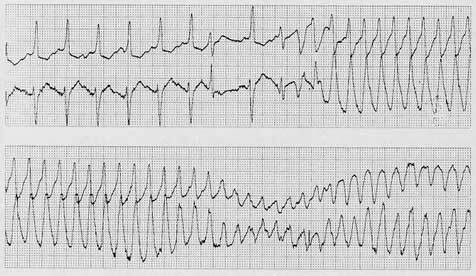 Cardiac arrhythmias are usually transitory and, in the long-term, do not require treatment. In severe and acute cases (cardiogenic shock) it may be necessary to support the cardiac output. If a virus is identified, there is evidence that treatment with beta-interferon may be helpful. During the chronic myocarditis, if there is a reduction or failure of the heart pumping capability (heart failure), in addition to a guideline-based treatment for such a situation with the corresponding medications, discussions are conducted by working groups as to administering immune-suppressants (e.g. prednisolone or azathioprine). However, experience with such a therapy is not based on extensive clinical studies. Early diagnosis, and thus the ability to avoid any damage during the acute phase of the disease are the priority. General policy (advice): During acute infections, avoid athletics, sports and any sort of physical exertion.